Complete IT and digital marketing solutions that make your dream business a dream come true. In this today’s world of virtual reality, websites have become a necessity and the face of the businesses. 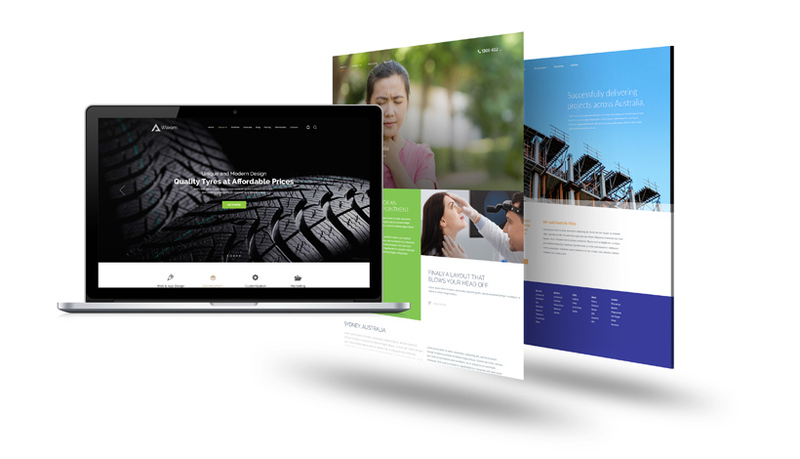 Looking to launch or re-launch your dream website to make your business grow online in Auburn and other surrounding suburbs? Look no further. We are here to offer complete IT and digital marketing solutions. With our remarkable web development experience, your business is bound to flourish with a constant increase in sales in Auburn. With expertise and affordability, we will make your dream business stand out from the pack. We own the key to unlocking your business hidden success potential. With passion and zeal, we recognise your brand and breathe life into it. We know the push your business needs to strive and flourish. We develop and design websites for up and coming and also established companies in Auburn and take them into market-crushing brands in the world. With cutting-edge ideas and website modernisation, engage, and excitement is brought to your users. Top notch digital marketing services to transform your brand presence. We focus on increasing conversions and generating greater brand loyalty online amongst users and potential customers. Marketing strategies for enhancing website visitors. Content Strategy for social channels. Flexible Content Management System integration with other technology and platforms. Top-notch Content Management System able to run on cloud computing. Quality Content Management System with advanced security management. Innovative and adaptable Content Management System to a rapidly changing digital world. Content Management System with perfect real-time customer-centric marketing across multiple channels through online marketing tools. Fast loading pages to generate more user interactions. Individual top-notch titles and descriptions. Well formatted and descriptive URLs. Search Engine Optimised Images that are interesting and easy to read. Webpages with a meaningful header, footer, breadcrumb menu etc. Why us for Web Design Auburn? Our team of experienced web designers are driven by thoughts, expertise and passion for creating excellent cutting edge designs. Web designs that reduce load time, reduce redirects, enable compression and optimised image sizes. We value customer’s satisfaction over profits. Our web designs are top quality and also very affordable. We are customer friendly and always in touch with costumer’s requirements. We help you generate more leads and also improve online sales. Also, assistance with analytical data to ensure that profits from your website are always maximised.